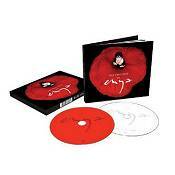 Twenty-two years have passed since the original release of Enya's self-titled debut album. During that time, Enya has become one of the world's most successful musicians with over 70 million album sales to her name and an array of authoritative honours including four Grammy Awards and three World Music Awards. Released on November 23rd, 'The Very Best Of Enya' brings together for the first time so much of the earth-spanning music created alongside her close friends and partners in music, Nicky and Roma Ryan. 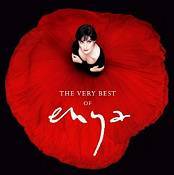 From her world-conquering international breakthrough 'Orinoco Flow' to the sad serenity of 'Only Time' that was adopted as an comforting anthem of hope in the face of 9/11, 'The Very Best Of' captures Enya's most beautiful work to date. Hailing from Leicester, Showaddywaddy broke into the mainstream of the music business via the entertainment television programme 'New Faces'. The band hit straight away in 1974 with the first of many popular hit singles 'Hey Rock n Roll'. Alongside the self written material, the band also covered many classic Rock n Roll songs over the coming years many of which were also massive hit singles. Filmed live in front of a wildly enthusiastic audience we find the band here covering some of their 'Greatest Hits', including Dancin’ Party, Blue Moon, Three Steps To Heaven, Sweet Little Rock ‘n’ Roller and the massively popular number one hit single Under The Moon Of Love. The strangely exotic nature of this record was signalled both by its title and by the use of Jacob Bogdani's 17th Century painting for the cover – in itself, an unusual choice for a new LP from a band like Procol Harum. Except of course, that then, as now, there really weren't any other bands like Procol Harum. Procol's preceding album, 1973's 'Grand Hotel' – a grandiose effort that recalled earlier majestic achievements like 'A Whiter Shade Of Pale' and 'A Salty Dog' – had been hallmarked by its symphonic sweep. 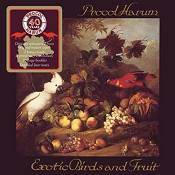 But for 1974's Exotic Birds & Fruit, Procol Harum can be heard going back to basics. This was clearly an album custom built for a working band on the road. "We made the live album with an orchestra," (1972's Procol Harum Live In Concert With The Edmonton Symphony Orchestra) Gary Brooker recalled. "We'd then taken an orchestra into the studio on Grand Hotel and did a lot of work with that in easier surroundings – we could work on it for a week instead of only one night. But I think after Grand Hotel and a few concerts… we said we'd had enough of orchestras. Let's get back and just be a band again." 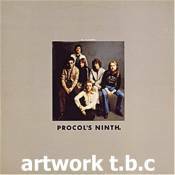 The original Side 1 ['Nothing But The Truth', 'Beyond The Pale', 'As Strong As Samson', 'The Idol'] was as fine a selection of songs as Procol had ever lent their name to – and indeed, as powerful an opening as any long player of the decade. The formidable Brooker and Reid partnership had once again triumphed. Even today, 'The Idol' seems a prescient and strangely timeless piece. And thus, back in the day of three-day weeks, 'Kung Fu Fighting' at No.1, and hot pants everywhere, Side 1 of 'Exotic Birds & Fruit' drew to its majestic close. The remainder of the tracks were reminiscent of a lighter shade of Procol. 'Monsieur R. Monde' [a reworking of 1967's 'Monsieur Armand'], was a tongue-in-cheek catalogue of afterlife visitors including Dr Jekyll & Mr Hyde and that perennial festive party-pooper, Ebenezer Scrooge. On the upbeat 'Fresh Fruit' we get Gary singing the praises of Vitamin C, as well as the delights of seeds, juice and pulp. "It was very much based on the sort of thing the Coasters might have done," he later said. Coincidentally, those prime Coasters songwriters Leiber & Stoller would be brought in to produce Procol on their next album. Meanwhile, the current album wound down with 'Butterfly Boys', a none too subtle dig at the band's then-label Chrysalis [whose logo was a butterfly]. And finally, the stately ballad 'New Lamps For Old', which supplied a dignified end to an extraordinarily varied album.. When a top band has been on the road for some years, with a catalogue of successful recordings behind them, it is sometimes helpful to bring in fresh blood in the pursuit of new horizons. When Procol Harum came to record their 1975 album 'Procol's Ninth', they decided on a drastic change of policy. The result was an unexpected collaboration between Procol and one of America's top producer / songwriter teams, Jerry Leiber and Mike Stoller. 'Procol's Ninth' reached Number 41 in the UK album chart and Number 52 in the US. 'Pandora's Box' proved to be the band's last UK chart single. The album also made a little piece of history when it became one of the very first by a serious rock group to be released in Poland. Procol were also the first group to visit the country, since a Rolling Stones concert in the 60s, which led to a ban on all 'decadent' western rock music. 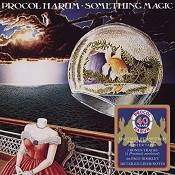 Salvo's Procol Harum reissue series – of which 'Something Magic' is the tenth and final instalment – allows fans of sophisticated music the chance to re-evaluate one of rock's most consistently innovative bands. Careful remastering has brought out hitherto elusive nuances; judiciously-selected bonus tracks offer a unique insight into the compositions of Gary Brooker [music], Keith Reid [words] and their less-frequent collaborators, and into Procol Harum's studio methodology. 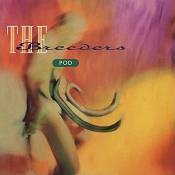 Though ostensibly a side project of The Pixies' Kim Deal and Throwing Muses' Tanya Donelly, The Breeders' 1990 debut, 'Pod', has held up as a classic of late 80s / early 90s off-kilter alternative pop, surpassing the contemporaneous work of their main bands. Though Deal would really hit the big time 3 years later with the Breeders' follow-up, 'Last Splash', and Donelly would do the same with her next band, Belly, 'Pod' is the band's finest, most coherent, album and perhaps the high point in both their careers. Engineered by the legendary Steve Albini. Following the departure of Tanya Donelly, the breakup of The Pixies, and the return of Kelley Deal to the fold, The Breeders' hit the alternative big time with their second [and last of the decade] record, and its hit singles 'Cannonball', 'Divine Hammer' and 'Saints'. 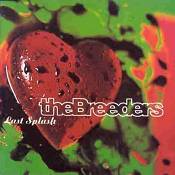 The last Breeders album of the 1990s, as Kelley suffered and recovered from drug addiction and Kim found a new outlet in The Amps, 'Last Splash' went platinum and brought the massive songwriting talents out from behind the shadow of Black Francis. 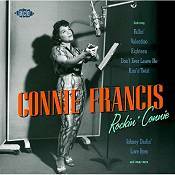 'Rockin' Connie' spotlights the up-tempo side of the artist whose incredible 56 entries on Billboard magazine's Hot 100 mark her as the biggest-selling female of her day. Perhaps best known for her sentimental ballads, Connie recorded in a variety of styles, and for every 'Among My Souvenirs' in her vast catalogue, there exists a terrific rocker like 'Gonna Git That Man', 'Kiss 'n' Twist' or 'I'm Gonna Be Warm This Winter'. Connie had been singing songs such as 'I'm Walkin'' in her stage act since 1957 and with her boyfriend Bobby Darin she frequently visited the Apollo Theater in Harlem to see James Brown, Ray Charles and LaVern Baker, whose performances ensured that she was well schooled in the art of R&B. Thanks to a pair of albums produced by Rick Rubin (2005's '12 Songs' and the 2008 chart-topper 'Home Before Dark') the credibility of Neil Diamond stands at its highest ever – a great achievement, especially when one considers that his first recordings were made some 48 years ago. 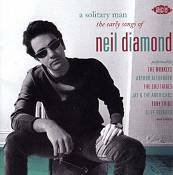 Neil Diamond is the latest great American songsmith of the 1960s to be featured in our fast-expanding series of writer-based compilations, where he joins Goffin & King, Leiber & Stoller, Jackie DeShannon, Pomus & Shuman, Chip Taylor and other legendary songwriters. Prior to Diamond's breakthrough as a recording artist he spent several years paying his dues by writing songs for other performers, honing his talent in the process. Pride of place on 'A Solitary Man' goes to the Monkees, Cliff Richard, Sadina, Jan Tanzy, the Solitaires, Jay & the Americans, Jimmy Clanton, Billy Fury, Marcie Blane, Ronnie Dove and the Rocky Fellers, all of whom were the recipients of early Diamond numbers he himself never recorded. The rest of the songs date from the latter half of the 60s, most of which are from his spectacular two-year spell at Bang Records. Few artists ever recorded better versions of Neil Diamond's compositions than Arthur Alexander, Lulu, BJ Thomas, the Wanderer's Rest or Bobby Womack. Certainly Britain's, maybe the planet's most adventurous record producer, Joe Meek was a maverick in an age of conformity and a madcap sound surgeon before the world really knew what a record producer was for. Without Meek, the UK may well not have achieved the level of musical sophistication it has enjoyed since the early 1960's – Meek even taught George Martin a number of tricks when they worked together at EMI. 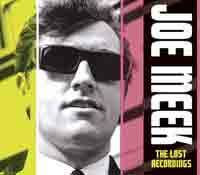 This collection represents Joe Meek's early years, concentrating on the music he produced [and in many cases composed, albeit usually under one pseudonym or another] while working for labels and music entrepreneurs prior to his setting up of his legendary, independent Holloway Road studio RGM, in 1961. From Big Bill Broonzy's scorching blues to Humphrey Lyttelton's ground breaking Jazz and taking in Peggy Seeger, Eric Winstone, Lonnie Donnegan, Johnny Duncan, Red Price and numerous others, this 2 CD set illustrates perfectly how Joe Meek was pivotal in developing all genres of British music in the late 1950s and through much of the 1960s. These tracks have never previously been compiled together. * Original album beautifully remastered – plus music videos, a John Peel Session and bonus tracks including singles, 12ins and B-sides. * Digipack features original album artwork and 24 page colour booklet including liner notes by the world famous author of Trainspotting, and Madness fan, Irvine Welsh. Hey you! Don't buy that! Buy this! This is the heavy heavy monster sound of Madness's classic epoch-making debut from 1979, which took the world by storm with its nutty slant on ska, Motown, rock'n'roll and good old fashioned music hall. It bothered the charts for more than a year, boasting three massive hit singles among its many charms. 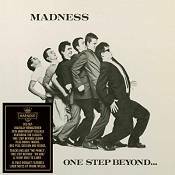 Now, on the anniversary of its original release, the album has been remastered with bonus tracks, videos, a John Peel session and liner notes by Irvine Welsh, it's time once again to move your feet to the rockin'est, rock-steady beat of Madness: One Step Beyond…! Gold Star Studio engineers Stan Ross and Larry Levine explain the secret of the "Wall Of Sound" and legendary DJ Rodney Bingenheimer provides important Spector facts and shows us his Rock N'Roll collection. Essential viewing for any music fan! Kittie is a Canadian heavy metal band from London, Ontario, formed in 1996. The band rose to success in 1999 when the track 'Brackish' from their debut album 'Spit' became a hit single. The band also supported Slipknot during the early 2000s on Slipknot's UK tour, heightening the band's popularity. 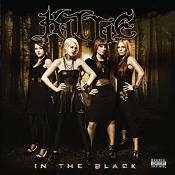 'In The Black', the fifth studio album of the band's decade-long career as metal's reigning femme fatales. The band delivered true on their promise, creating a 12-track behemoth of unapologetic metal splendor, forging bone-crushing music and penetrating vocals into a snarling beast of blunt force trauma. And better yet, they did it without any drama. With total domestic sales in excess of 1,25 million, Kittie also approached the recording of In the Black as complete free agents, for their first time ever, writing and recording a record with absolutely no outside influences breathing down their necks. The results will make your skin crawl and the hair on the back of your neck stand at attention!! The greatest showman of our time returns to celebrate the holiday season with 'In The Swing Of Christmas', a special album of holiday favourites both old and new. 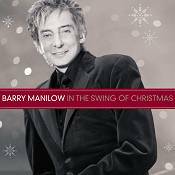 Produced and arranged by Manilow and co-produced by Scott Erickson, 'In The Swing Of Christmas' is an extraordinary collection of holiday songs hand-picked by Manilow himself. Includes traditional songs as well as some Manilow surprises, such as his new original song 'Christmas Is Just Around The Corner' and his exclusive rendition of 'Silver Bells', featuring 26 background vocals — all recorded by the man himself. 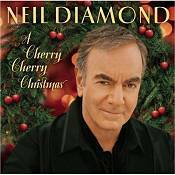 2009 has been another triumphant year for Neil Diamond following on from his first UK #1 album and Glastonbury performance in 2008, 'Hot August Nights NYC' was Top 20 during the summer and this Christmas he releases 'A Cherry Cherry Christmas'. The title song, 'Cherry Cherry Christmas,' is filled with references to many of Diamond's greatest hits. Newly written and recorded by Neil for Christmas 2009, it is destined to become a new Christmas standard. Newly included with the re-mastered classics are a transcendent 'Amazing Grace'; another new Neil Diamond original, 'Christmas Dream'; and a party-time version of Adam Sandler's comedic 'The Chanukah Song', produced by DJ Ashba (Guns N' Roses). Three-time Grammy winner R. Kelly is on the cusp of releasing his tenth studio album 'Untitled' on 30th November. Building the anticipation for the album are two back-to-back powerful singles. R. Kelly recently made music history with his current single 'Number One' featuring Keri Hilson when the song became his 35th Top 10 single on Billboard's Hot R&B/Hip Hop Songs chart. He has now surpassed Nat 'King' Cole's record of having the most Top 10 hits on that chart, and Billboard further notes that Kelly's climb places him sixth among male artists and ties him with Dinah Washington for eighth overall since the R&B chart was established in 1942. 'Number One' was the #1 most added record at urban radio upon its debut and is still in high demand. 'Number One' has already sold 215,000 copies, and is at #7 on the Billboard Urban Mainstream charts, attesting to the enduring popularity of the singer/songwriter/producer/musician. The second single, the stirring 'Religious', will impact US radio on Oct. 26th. 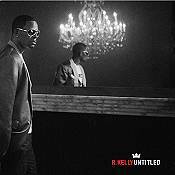 On the album 'Untitled', R. Kelly returns to the streets and delivers an album with refreshing vitality. He joins forces with a crew of rising producers including Jack Splash & Soulshock & Karlin. In a departure from his signature approach of recording only in his native Chicago [The Chocolate factory studio], Kelly recorded some of the material in Atlanta. R. Kelly has earned accolades for his studio work and his riveting live performances. The 'Ladies Make Some Noise Tour 2009' proves to be no exception: The Boston Herald describes the show as "widely enjoyable"; MTV.com declares, "the magic is back"; and the Philadelphia Inquirer observes, "Teddy Pendergrass created the 'ladies' tour… yet soul-hop lover man R. Kelly gave TeddyBear a run for his money…"
R. Kelly's remarkable career spans decades filled with accomplishments and achievements. He has sold over 34 million records worldwide, released six No. 1 albums, twelve platinum-plus selling albums and eleven No. 1 singles. The Chicago native has released thirteen albums in total including compilations and collaborations; and nine platinum-certified solo albums. He has collaborated and written songs for some of today’s top musical icons from all genres including: Michael Jackson, Mary J. Blige, Pussycat Dolls, Usher, Celine Dion, Whitney Houston and more. Following Il Divo's largest worldwide tour to date, which remarkably encompassed 81 cities and 32 countries, they release 'An Evening With Il Divo – Live In Barcelona', a sublime 10-track CD and accompanying DVD, out November 30th. 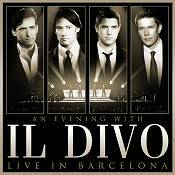 The Barcelona show was Il Divo's biggest capacity performance in Europe and took place at Palau Sant Jordi, April 3rd. The 10-track CD boasts rich and diverse repertoire from their five studio albums, featuring songs from their latest record 'The Promise'. Accompanying the CD is a live DVD of the show in English and Spanish versions. The DVD features two songs never before recorded by the band, 'Bridge Over Troubled Water' and 'The Impossible Dream', as well as insightful behind the scenes footage and a 'making of the tour' interview with Il Divo. The dazzling live show was staged and choreographed by William Baker [Kylie] on a state of the art set, which also offered fans the chance to sit within the staging for a unique concert experience. The UK's biggest selling group, Westlife finally emerge from the studio after a year break to present their new album, 'Where We Are'. Spending much of 2009 hidden away in studios across Europe and the US, Westlife have been quietly creating their most exciting album to date. 'Where We Are' features pop's finest producers and songwriters, including Grammy nominated Ryan Tedder (Leona Lewis 'Bleeding Love', Beyonce 'Halo'), Steve Robson (James Morrison, Take That) as well as Louis Biancaniello & Sam Watters (Whitney Houston, Anastacia) and Steve Booker (Duffy), all of whom helped to create the band's new and contemporary sound. While the tracks are instantly recognisable as Westlife classics, complete with soaring melodies and rousing lyrics, an undeniably fresh production is injected; bound to delight Westlife fans and pop enthusiasts alike. 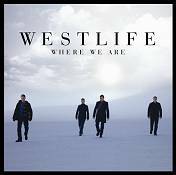 Featuring the bands first single, 'What About Now', this album is sure to follow in Westlife's extraordinary success. During their 11 years at the top of pop's hierarchy, the band has sold over 40 million records globally. In the UK alone they have scored nine multi-platinum albums and a record breaking 14 No.1 hits. This year wouldn't mean anything without a brand new album from Alicia Keys and on November 30, the 12-time Grammy Award winner will release 'The Element Of Freedom', her 4th studio album on MBK/J Records. 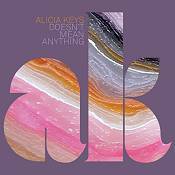 Keys' first single, 'Doesn't Mean Anything,' was written and produced by Alicia and her longtime production partner Kerry 'Krucial' Brothers. "Alicia Keys Is Back" proclaimed NYPost.com's Pop Wrap column. "It's so perfect, it's so brilliant and it's so unmistakably Alicia." In addition to Brothers, the 12-time Grammy Award winning singer/songwriter/producer enlists the production talents of Jeff Brasker [Kanye West, Keri Wilson] with more production pairings to be announced soon. 'The Element Of Freedom' is the follow up to Keys' multi-platinum selling 2007 album 'As I Am', which featured the Grammy Award winning tune 'No One' as well as hit singles 'Like You'll Never See Me Again', 'Teenage Love Affair' and 'Superwoman'. In 2008, Tom Waits launched a sold-out tour, garnering intense critical praise – Daily Telegraph named Waits "The greatest entertainer on Planet Earth" – and thrilling fans across the world, some in cities where Waits had never played before. Now comes the document of those concerts, 17 performances hand-picked by Waits from along the tour. Leaning heavily on songs from his Anti- releases, including a haunting 'Trampled Rose' from 'Real Gone' and roaring 'Get Behind the Mule' from 'Mule Variations', Waits also digs into the vaults for tracks like a re-imagined 'Singapore' from 1985's Rain Dogs. 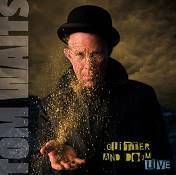 'Glitter and Doom Live' will reside in the Waits catalogue alongside earlier live albums like 'Nighthawks at the Diner' and 'Big Time', both discs held on par with his classic studio releases by fans. "Alright… now we can chat a bit" ventures Tom Waits at the outset of 'Tom Tales', the 35 minute bonus disc included in the Glitter and Doom Live CD. Culled from the tour, 'Tom Tales' compiles between-song banter into a continuous monologue, chronicling for the first time one of fans' favorite parts of a Waits' performance. Do fans want to hear a Tom Waits monologue? In mid-stream, Waits asks the audience whether they want a story or a song: "STORY!" comes back the roar from the crowd. On 23rd November, a superb re-issue of the album titled 'The Alesha Show – Encore' will be released which will include four brand new tracks which include sensational new single co-written with Gary Barlow ‘To Love Again’. Other new tracks on the album include 'Shake', a collaboration with hot new talent Paloma Faith and hitmaker Steve Booker the man behind Duffy's Mercy. For 'The Light', Alesha has once again teamed up with the powers of Xenomania as she did for her very first smash hit single from the album 'The Boy Does Nothing'. Finally 'We're All Out Of Tune' comes courtesy of Alex Da Kid producer from Rihanna's management stable which was mixed by Manny Marroquin, responsible for Kanye West's 'Stronger' and Alicia Keys 'No-One'. Alesha says of the album – "Having written several more songs since we released 'The Alesha Show', I felt my fans would want the chance to hear the new material. So I've added four new songs to the album. I'm really happy with them and wanted to make the 'Encore' edition a great Christmas gift! I really hope people will be delighted with the result!" 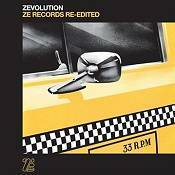 Following their recent ZE 30 anniversary compilation album, Strut's collaboration with mighty New York imprint ZE Records continues this Autumn with 'Zevolution', bringing together new and rare DJ edits of ZE tracks by 14 leading producers. ZE has continued to be a prime source for DJs with dozens of re-edits surfacing in recent years, re-working and extending the label's experimental post-punk grooves for maximum dancefloor punch. Many of the edits have become classics in their own right – on this album, we feature Todd Terje's 'Friendly Children' re-work of Gichy Dan's 'On A Day Like Today', Soul Mekanik's dubbed out treatment of Kid Creole's 'Annie', still a staple in many DJ boxes. Others have surfaced briefly on limited white label 12s or on blog sites – the prolific Social Disco Club from Porto and Idjut Boys, whose brilliant re-touch of another Kid Creole track here, 'I'm Corrupt', is much in-demand. For the album, Strut also commissioned a fresh batch of versions, many transforming seminal ZE tracks that have previously been tricky to play in clubs. Richard Sen sews together brilliantly the two parts of James White's fidgety 'Almost Black', Italian DJ team The Barking Dogs create a tracky beast from Arto Lindsay's beatless ZE experiment 'Pini Pini' and Luke Howard and Felix Dickinson from Horse Meat Disco create the best club version yet of Aural Exciters' 'Spooks In Space'. For the 'heads', there are ultra-rare tracks too – Fat Camp resurrect a David Gamson track 'No Turn On Red', previously only available on an NME cover mount cassette. 'Zevolution' features an extensive booklet including an introduction by re-edit king Greg Wilson and sleeve notes by Bill Brewster of DJ History. Surely Underworld need no introducing. In the last decade, Karl Hyde and Rick Smith [and since 2005, Darren Price] have proven themselves as one of the most relevant electronic acts out there, both through their musical output as well as live touring. Best known for 'Born Slippy', a track made popular via way of Danny Boyle's 'Trainspotting' and is today celebrated as one of the greatest dance tracks of the decade. 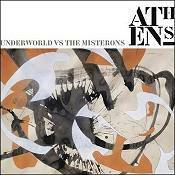 Totalling 12 tracks and with the help of their studio sidekicks The Misterons – 'Athens' is Underworld showing you tracks that inform the music they make. Jazz and Tech Jazz inspired, it sees them fuse their favourite tunes together with their own trademark sound (albeit in a very Jazz Not Jazz way). Though a compilation, it's very personal statement they make here, one that sits easily next to any previous artist album. Includes the hard to find soundtrack only 'Oh' (from A Life Less Ordinary) as well a brand new, totally exclusive track 'Beebop Hurry'. The cover is a Karl Hyde painting, making it more personal/collectable and the album title is taken from the name of the painting. 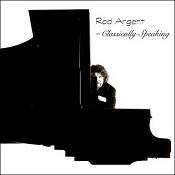 The end of 1997 saw Rod complete a project which was close to his heart – the recording of a solo piano classical album entitled Rod Argent – Classically Speaking. There have been many attempts at crossover albums between pop/rock and classical music, but this is the very first time that a rock keyboard player has recorded a CD of purist classical pieces, unmodified or 'arranged' to try to satisfy both genres at the same time. Although he was largely self taught, Rod's love of classical music – and jazz for that matter! – goes right back to his childhood, and even when the Zombies were chalking up their first worldwide success with 'She's not There', he saw no reason why he shouldn't listen to the Beatle's 'Revolver', Miles Davis' 'Kind of Blue' and the Bartok string quartets with equal passion. In spite of this, it wasn't until 1997 that Rod, with the encouragement of his great friend Robert Howes, a noted percussionist with several famous orchestras, including those led by Roger Norrington and Christopher Hogwood, began to seriously develop his playing of classical repertoire. Once he really got under way, he quickly became hooked, and the ideas that culminated in this album began to germinate. Once he'd decided to make the record, its shape was influenced by several factors. Firstly, Rod wanted to make it an album of personal choice. He is convinced that there are many, many people out there who have travelled the road of popular music from Elvis and the Beatles through to the present day whose tastes have broadened to include a liking for classical music. However, in many cases they are not quite sure where to begin looking among the vast amount of music available, and anyway are still a bit put off by the elitist image and snobbery that sometimes attach themselves to this area. Rod believes that, having travelled the same road, he is in a good position to put forward a personal selection of great piano pieces to speak to this audience that in a sense has grown up with him, sharing many of the same enthusiasms and experiences. Secondly, he felt it was important to be able to have a varied selection of music, with composers of different periods and styles sitting next to each other – the unifying factor being his love and enthusiasm for each of the particular pieces. What he wanted to end up with was an album whose shape really satisfied and appealed to him. Lastly, Rod wanted to include his own writing in the project, and to that end has found space for three new compositions. All in all he feels that the recording has represented an exciting time: an opening of new paths for him, which he is now keen to develop towards live performance as well as further recording. John Fogerty triumphantly returns to the Royal Albert Hall for the first time in 37 years after last performing there with Creedence Clearwater Revival in 1971. John and band perform an eclectic set filled with John's signature songwriting and screaming guitar riffs, covering all phases of his career, including standouts such as 'Born On The Bayou', 'Old Man Down The Road', 'Proud Mary', 'Fortunate Son' and 'Rockin' All Over The World'. John's stellar band includes longtime bandmates such as Kenny Aronoff [drums], Billy Burnette [guitar] and Jason Mowery [fiddle, mandolin and lap steel], and as a true family affair, the concert features special guest appearances from John's sons Shane & Tyler. Also included as a special bonus is the previously unreleased track 'Comin' Down The Road' in both live and studio versions. 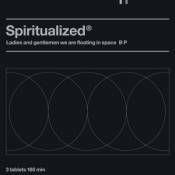 It is now 12 years since 'Ladies And Gentlemen We Are Floating In Space' made a profound impact in the summer of 1997, both critically and commercially, with its psychedelic soundscapes and heart-rending lyrics. It has influenced a whole range of musicians ever since. Originally packaged as a giant pill offering a written prescription, the concept was creatively inspired reflecting the depth of emotion and trauma laid bare on this truly remarkable work. The album will be re-released with new artwork on special limited edition formats with 2CDs of bonus content. These bonus tracks give a valuable insight into the artist's work-in-progress and include demos, instrumental versions, and session mixes – and highlight an aim for perfection prior to recording the definitive version. Standard 1CD Version. The original album with new artwork and a revised version of opening track 'Ladies & Gentlemen' (now including 'Can't Help Falling In Love' as originally intended for this album), which will be revised across all formats. The special Edition includes the original album in the legendary and unique pill pack style packaging, alongside the 2 bonus discs. This Special Edition will also will be a limited, one-off release. Therapy? are an alternative metal band from Northern Ireland formed in 1989 by guitarist–vocalist Andy Cairns and drummer-vocalist Fyfe Ewing. The band initially recorded their first demo with Cairns filling in on bass guitar. To complete the lineup, the band recruited Larne bassist Michael McKeegan. With keen pop sensibilities, a skewed sense of humour and a willingness to draw inspiration from diverse sources (notably punk rock), Therapy? came to attention in the early 1990s rise of alternative rock, but have endured for two decades since. 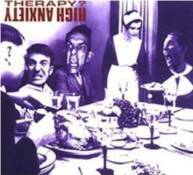 'High Anxiety' was the band's seventh full-length album from 2003 and their most important release to date. It was the first album to feature drummer Neil Cooper [ex-Beyond], and the last recorded with guitarist/cellist Martin McCarrick. The album has a similar production value to 'Troublegum', and is a return to that albums' sense of melodic punk. The album title was taken from a 1977 Mel Brooks movie of the same name. It might be the best example yet of Therapy? 's sound, which can only be described as literate metal. Cooper, guitarist / cellist Martin McCarrick, bassist Michael McKeegan, and guitarist / mouthpiece Andy Cairns have always been courageous to sludge through the swamps of Black Sabbath and Motörhead while holding melody and intellect high overhead. High Anxiety's 'Nobody Here But Us' and 'If It Kills Me' are driven forward by hard-edged, unforgiving riffs and concussive reports from Cooper's drums. After a ten-plus year career that has seen them outlast competitors and outwit industry attempts at categorization, 'High Anxiety' proves that the members of Therapy? are still headbangers with their thinking caps screwed on tight.